Are you tired of the same old Halloween routine? You throw on a costume, go to a hot and overcrowded party, get a drink spilled on you by a guy who isn’t even wearing a costume, then go home feeling tipsy, sweaty and all around disappointed. Well, get ready to have your mind blown — you don’t have to do that anymore! 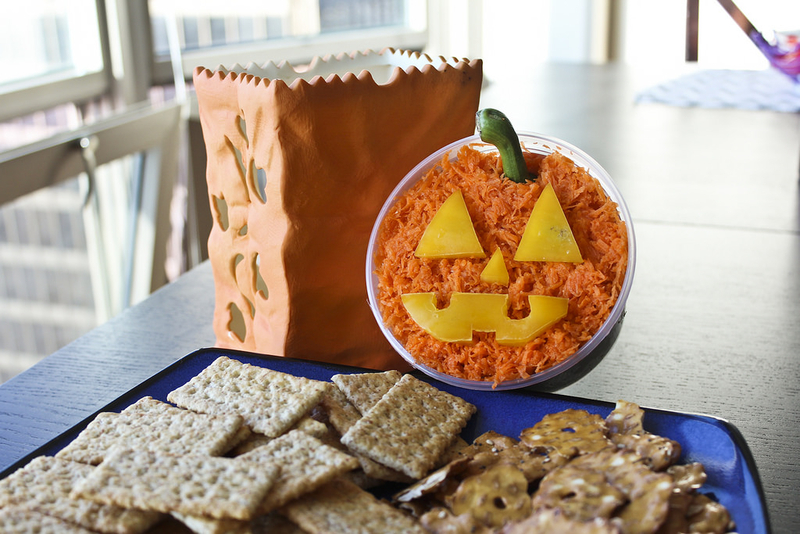 Throw your own festivities instead with the help of these spooky snacks. They will change your life forever (not to exaggerate). 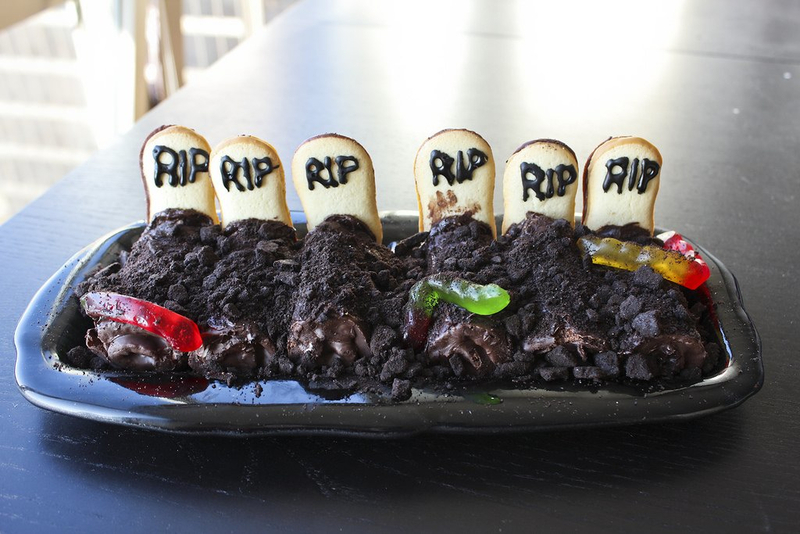 These haunting little graves are just Swiss Rolls, Milano cookies and chocolate wafers. Simply combine the ingredients together with chocolate frosting, and use this frosting to mark the graves. For added fun, you can put Peeps ghosts on toothpicks popping out of the graves, or follow my lead and throw some gummy worms in. These are really easy and even if you mess up, they still look good. Case in point, I accidentally smeared frosting on one of the graves, and it just looks like the dirty handprint of something trying to claw its way out. Success. A great companion dish to the aforementioned hummus, these spooky fingers require celery, peanut butter, almonds and the shortest of attention spans. Just add a dab of peanut butter to the end of a finger-length stick of celery, pop an almond on, and maybe trim the edges a bit to slim it down. (We don’t want our witches having sausage fingers now, do we?) Since these are very simple, I added a ring to make them look more like fingers. 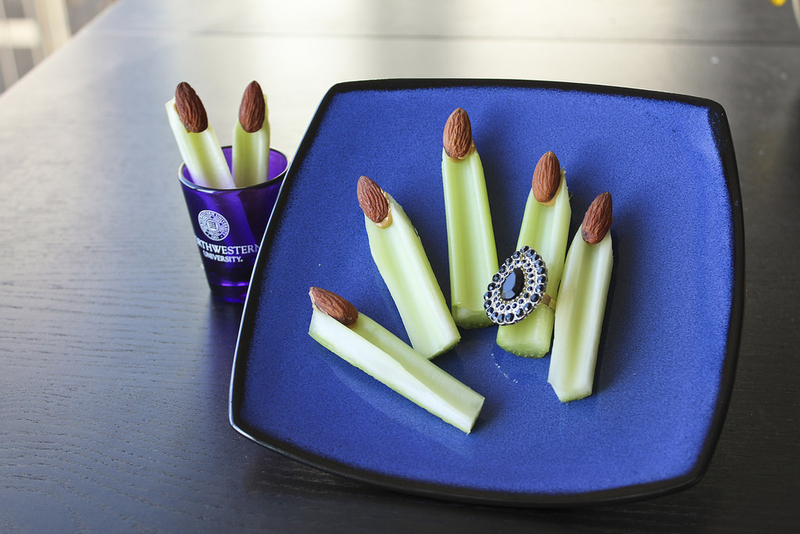 I know the ring makes it pretty convincing, so I’d like to take a moment to assure you that those are, in fact, celery sticks. Scout’s honor. Gross, right? 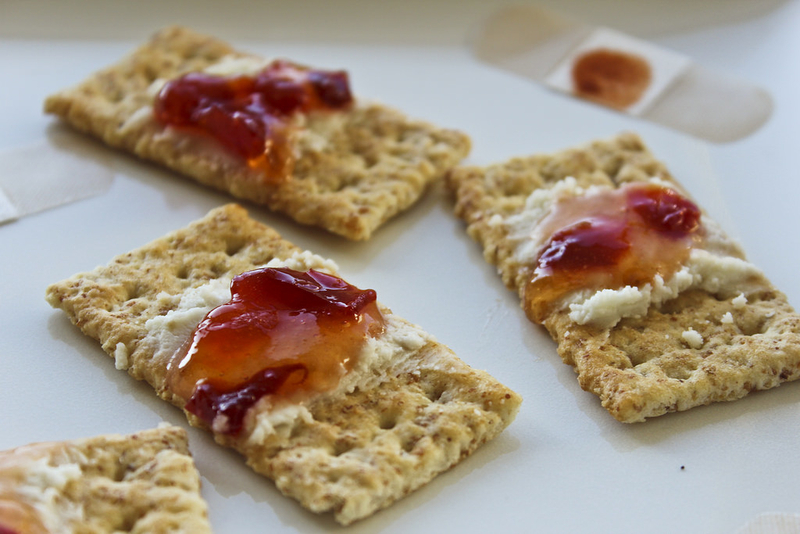 These tasty mock-bandages are just multi-grain crackers topped with goat cheese and red pepper jelly. It’s best to just make a few of these for demonstration, then allow guests to make their own; if left for too long they start to get a bit soft, and no one wants to eat a soggy used bandage. Also, if you’re having trouble spreading your goat cheese because it keeps crumbling, mix it with a little honey. It will make the goat cheese much smoother, and the flavor accents the red pepper jelly nicely. 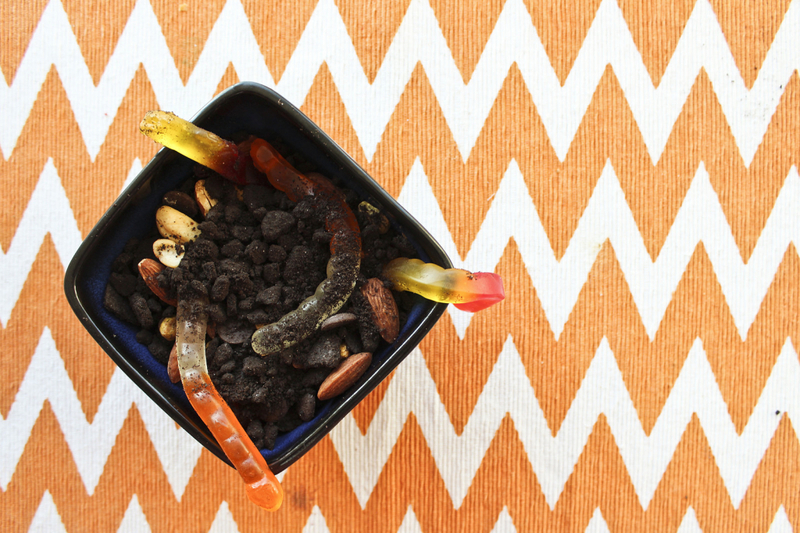 You can pretty much throw gummy worms into any dish to make it “spooky.” For this snack, I just put store-bought trail mix in a bowl with a few gummy worms, then crumbled chocolate wafers on top. Boom. Done. Dirt bowl. 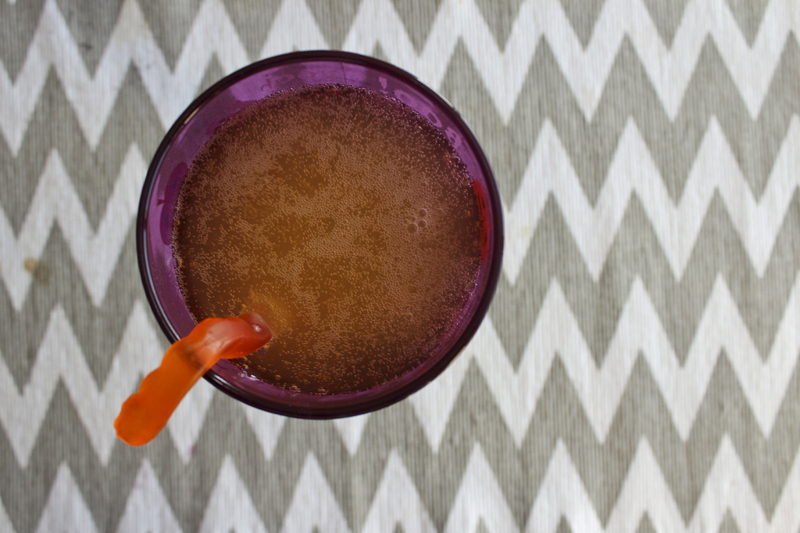 An oldie but a goodie, no Halloween party would be complete without a bowl of classic candy. 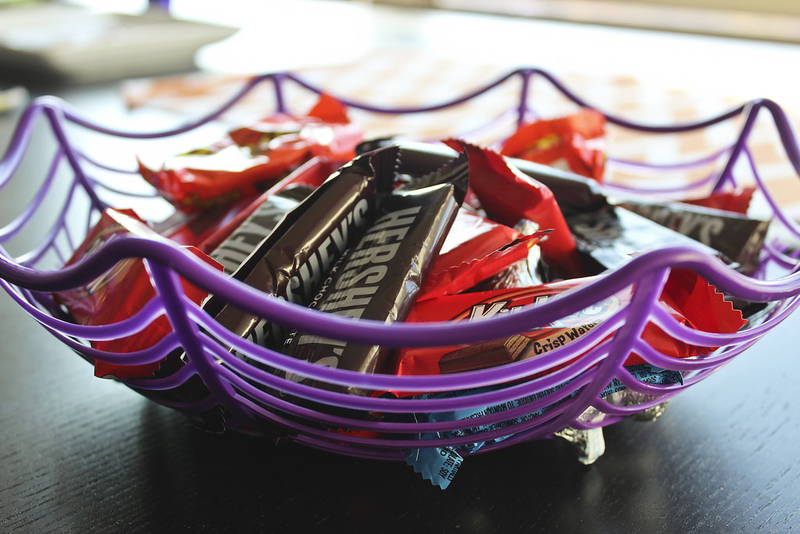 You can make it even more festive by getting a $1 spiderweb bowl from Target, as demonstrated in the picture above.